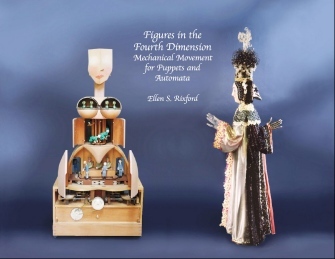 In 2015, the american artist Ellen Rixford has published a fundamental book about mechanical figures and puppets , 514 pages, DIN A4 oblong format, with excellent pictures, price 85 Euro. 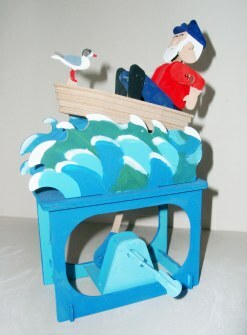 - and describes also historical clockwork automata. The function of the automata are described by many pictures of the devices and mechanisms, detailed three-dimensional technical drawings and exact explanations. 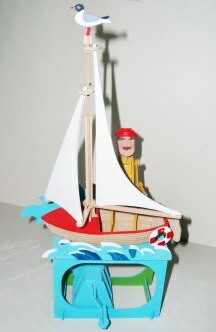 Off Road, Stormy Sea, Good Fishing, Sailing into the Wind, Red Knight, Egyptian Shaduf, Miner with Windlass, Miner with Saw, Go Fly a Kite, Wimbledon und Soaring (Flying Stork). You can paint the models with acrylic colour. 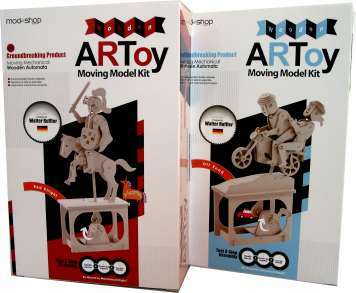 For more information please look at www.go-modelshop.com in the range "ARToy - Moving Model Kit". 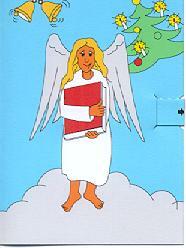 These movies were posted by the automata expert Falk Keuten. 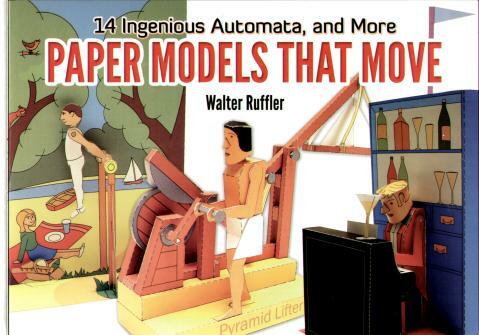 The automaton's kit is part of my new book "Paper Models That Move. 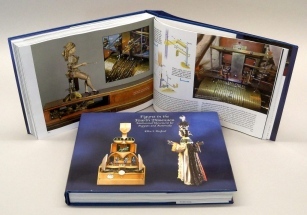 14 Ingenious Automata, and More".